Father’s Day is on 18th June this year! 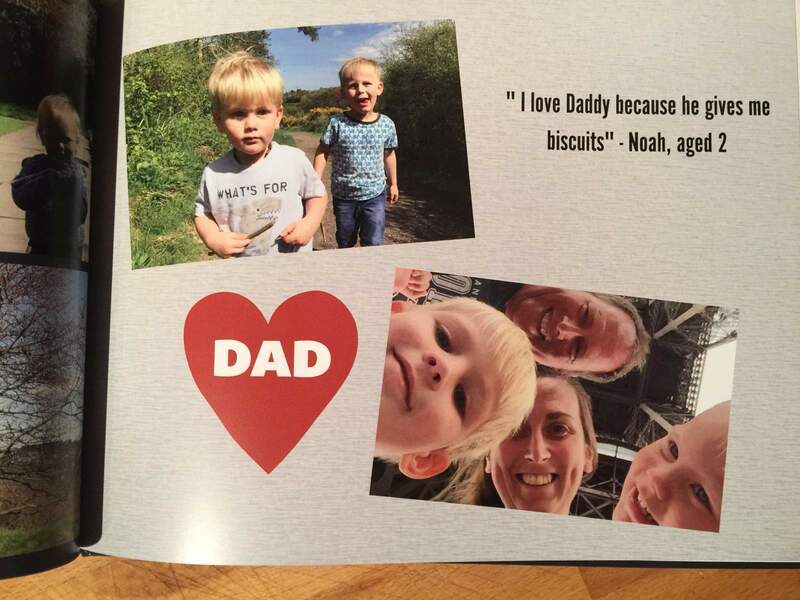 If you’re looking for a personalised gift idea for Father’s Day then you could try a photobook from Snapfish. Snapfish gave me a discount code to put towards the price of a photobook for the purposes of this review. 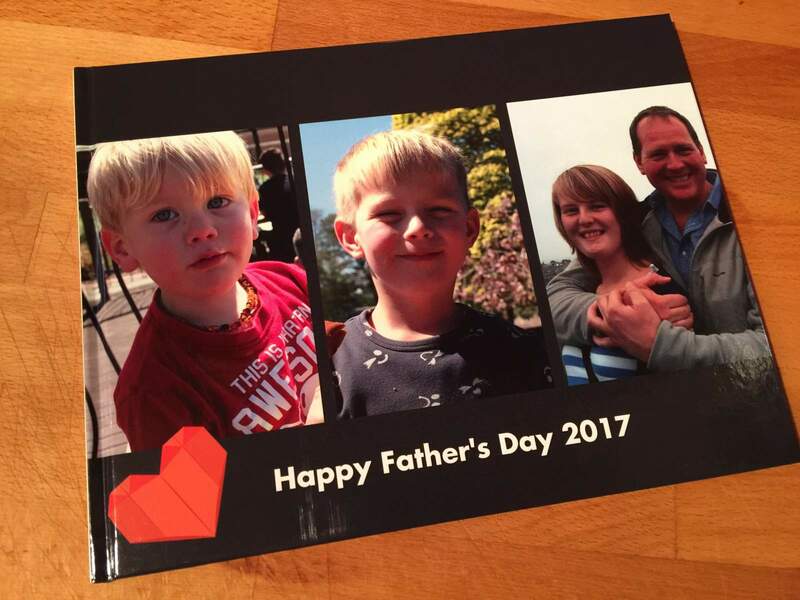 Snapfish have a fab selection of personalised Father’s Day gifts, from photobooks to mugs and phone cases. You can even get a personalised cushion cover or mouse mat, among many other products. Rob loves his photobooks. Whenever we go on holiday, Rob sits down through the evenings afterwards and pulls together a photobook so we have a thing to look at to remember our time away. He also makes books to draw together the collections of souvenirs we’ve bought from our holidays. 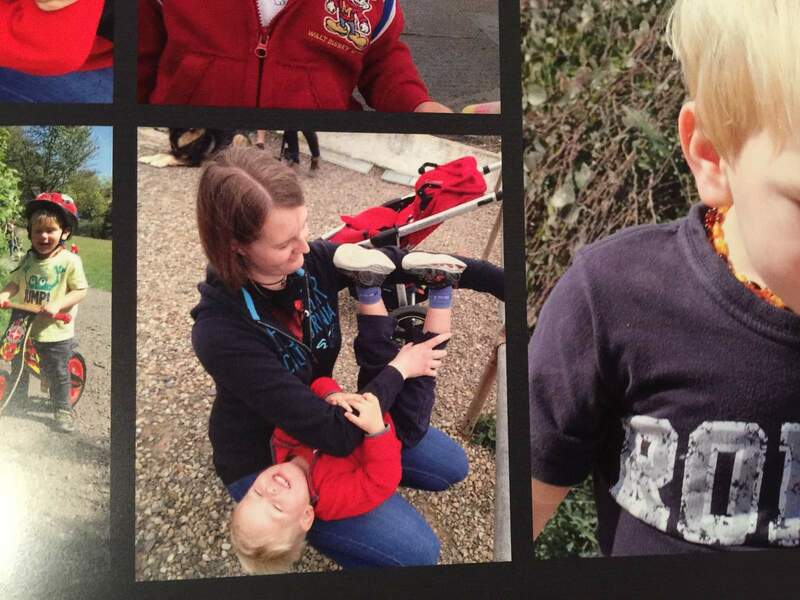 They’re a real labour of love, and I thought it was time to give him a photobook that he hasn’t slaved for hours over. Snapfish “11×8” hardcover photo books are actually easy to make. You can be creative with them, and use a variety of themes throughout the book. 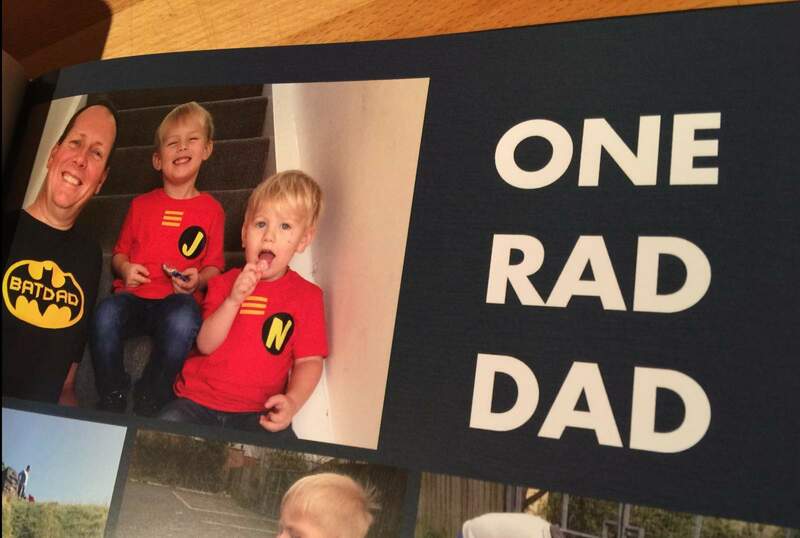 At the moment they have a selection of Father’s Day themes, which you can either use in the whole book on random pages, to really make your Father’s Day gift unique. There are different layouts, embellishments, backgrounds and fonts, and you can make your gift totally personalised for the recipient. I really like how easy it was to create a personalised gift, and captures memories. 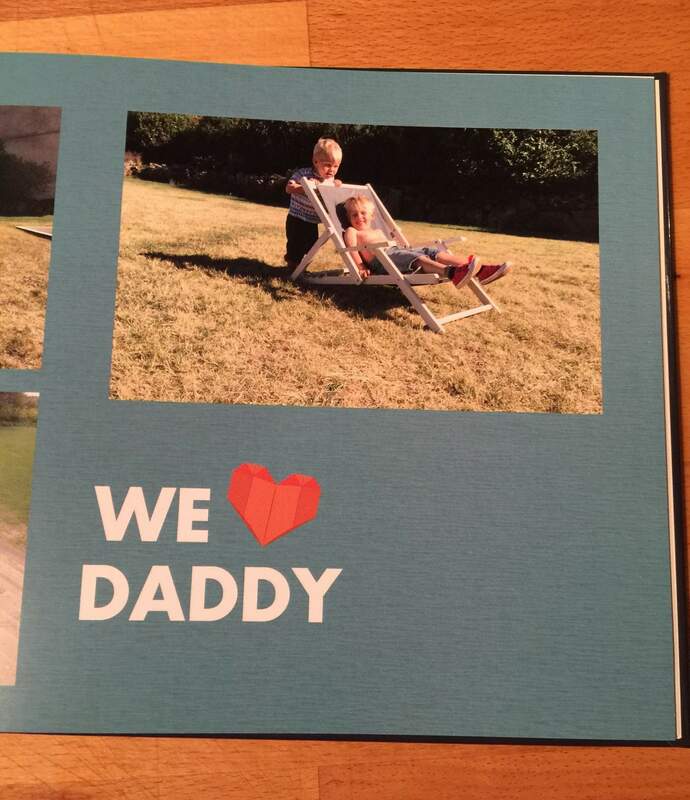 I asked all of Rob’s children the same question and was able to insert the answers into the photobook so that he has something to read, not just look at. It will be a lovely memory book to look back on as to what his kids thought in 2017. Now we just wait for Father’s Day to see Rob’s reaction, though I know he’ll love it, as he’s such a sentimental old thing!